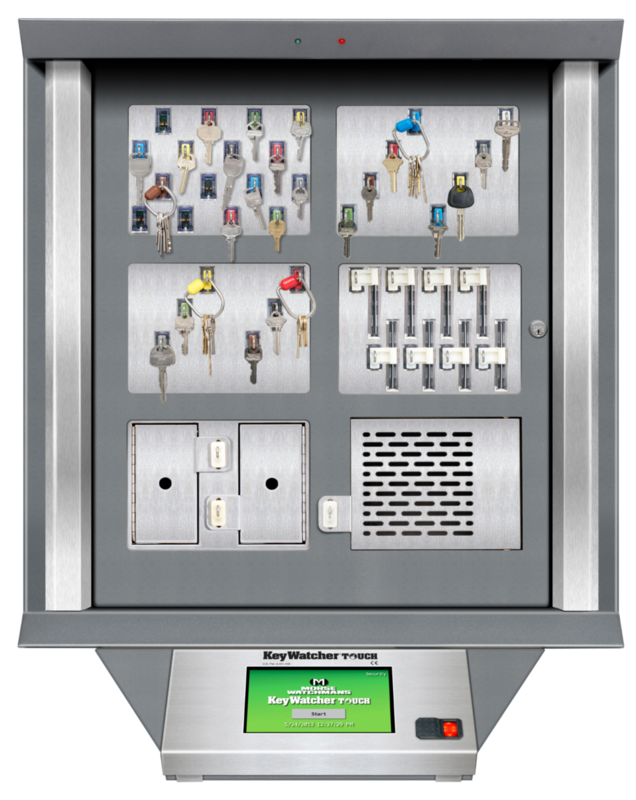 KeyWatcher Touch brings one touch key control to the KeyWatcher, one of our industry-leading electronic key cabinets. Our new big, bright 7″ touch screen key register systems give you an easier-to-use interface. But that’s not all that’s new. We listened to you and made KeyWatcher Touch key inventory system even more capable. The new KeyAnywhere feature enables you to return a key to any KeyWatcher Touch in your enterprise. You can also locate which KeyWatcher Touch a specific key is in, or determine who has it out, with the new KeyFind feature. We’ve also improved the key register system’s integration capabilities, along with many other convenient features. Of course you still get our patented SmartKey system, modular design and full scalability. We just keep making key management better. That’s Morse Watchmans’ outside the box thinking – right inside the box.